Time is the one precious, productive resource that we all possess in equal amount. Yet, the poor waste more of it because they lack access to information that can boost productivity, and improve — even save — lives. The exponential growth of mobile phone penetration in sub-Saharan Africa (now > 50% of the population) demonstrates the value placed on information access and communication. With very low access to computers (< 5% of the population) the mobile phone is the information platform of choice in Africa. Extending access to information and transaction capability via the mobile phone represents both an exciting business opportunity and the potential for significant social benefit for low-income households. 4AFRI Media enables businesses to create, deliver and monetize mobile content and services. In the past year, 4AFRI Media has secured relevant licenses and partnership agreements with leading mobile operators, corporations and government ministries, and created a mobile content portal and media platform to provide an expanding range of services in Ethiopia, Uganda and Djibouti. 4AFRI’s current service offerings include critical health information, job search and listings, news and information, all via mobile SMS/MMS. 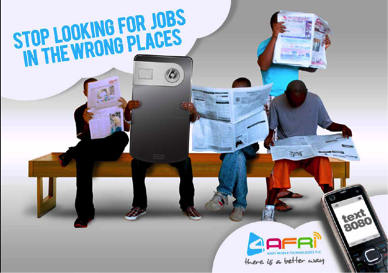 In the past year, 4AFRI has grown to be the largest mobile content platform in the markets where it operates. Impressed by the western educated African entrepreneurs who started the business and the potential to marry international technology with local delivery, SpringHill was the first external investor in 4AFRI. SpringHill has invested in subsequent financing rounds and helped to secure additional capital to maintain momentum and pursue opportunities in new markets in East, West and Central Africa.